Forelock’s Lacoste Champion Colt foal Again!! 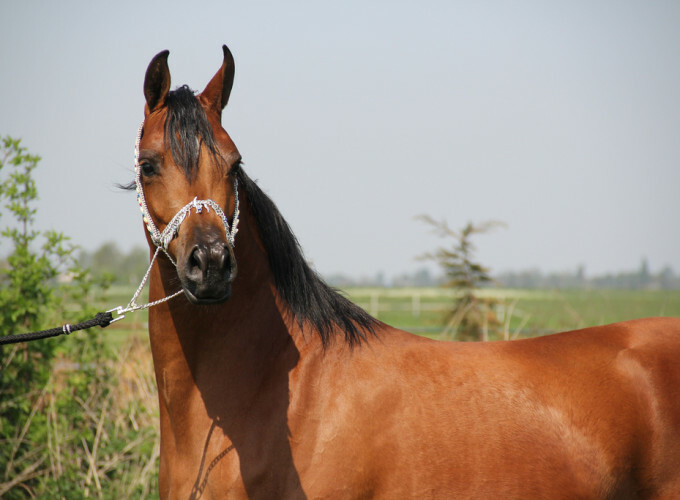 At the International B Show The Emerald Trophy Forelock's Lacoste (Psytadel x La Belle by Abakan) won his class again! Forelock's Shaheen (Magic Magnifique x Yody'F' by Kubinec) also entered in the colt foal class where he was reserve champion behind Lacoste. Later at the overall championship Lacoste was awarded overall Silver Medal Champion!! Forelock's Lacoste was our big champion at the AHW. 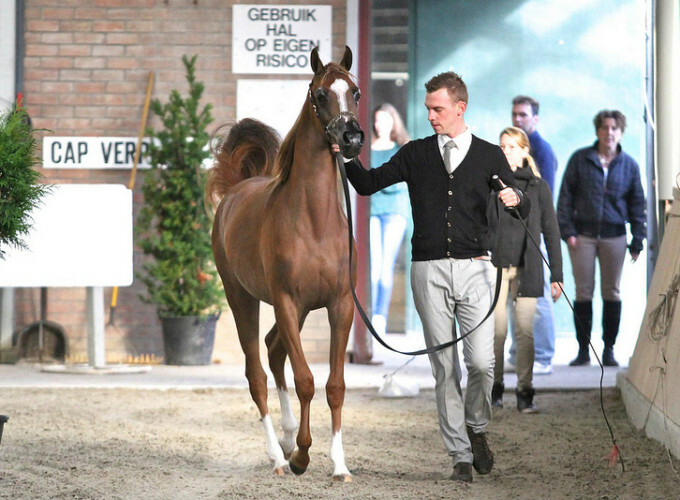 During the National C Show on saturday he was named Gold Champion colt foals as well as the best mover of the day! 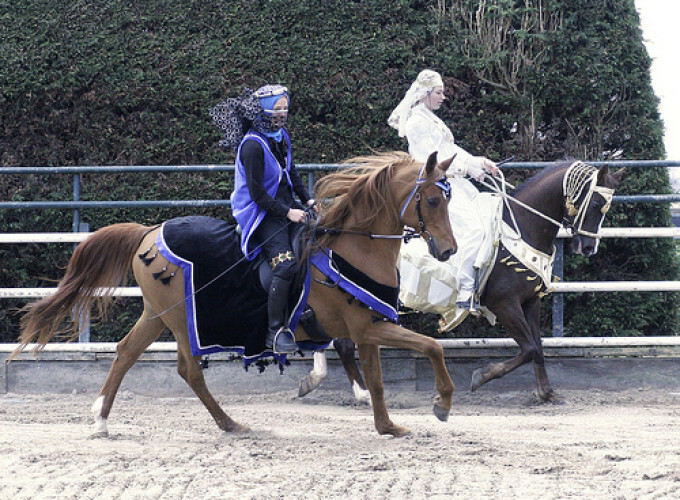 On sunday he did the same and with 90points he won the Gold medal again at the International C Show. 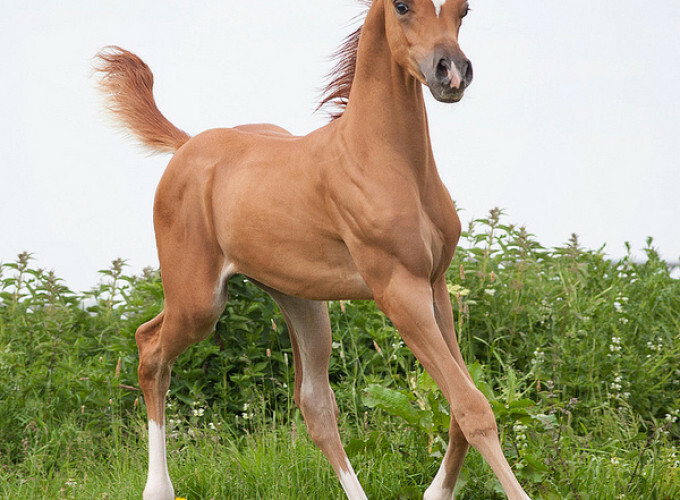 Beautiful Forelock's Veronique was Gold medal Champion in the filly foal class with 90,62points. 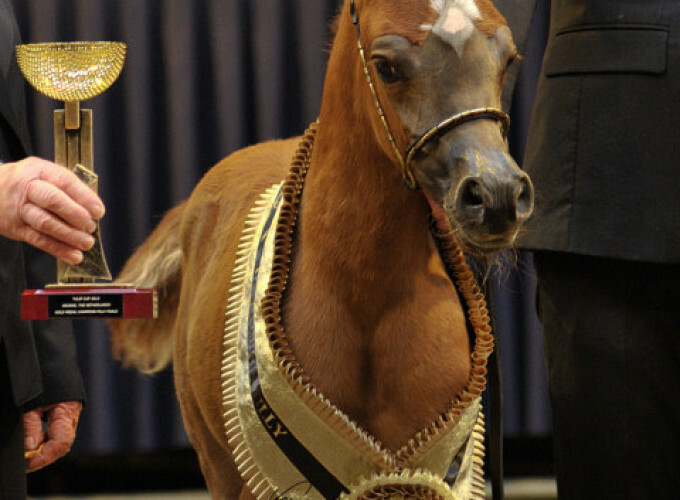 Later she was named overall Foal Champion!! 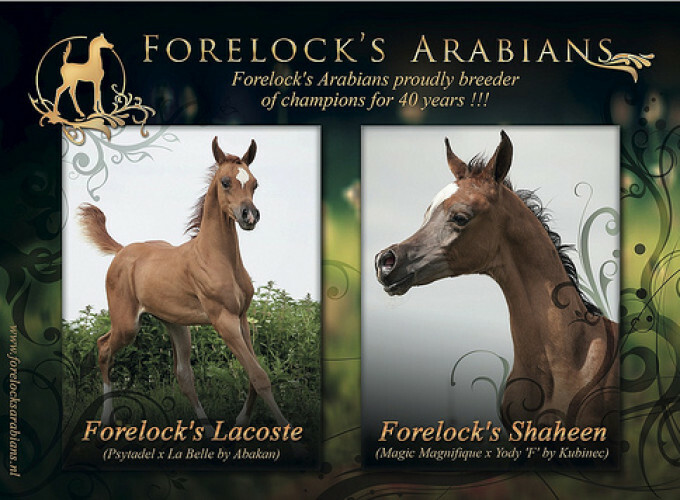 Forelock’s Yoly & Forelock’s Lotus sold to Bahrain!